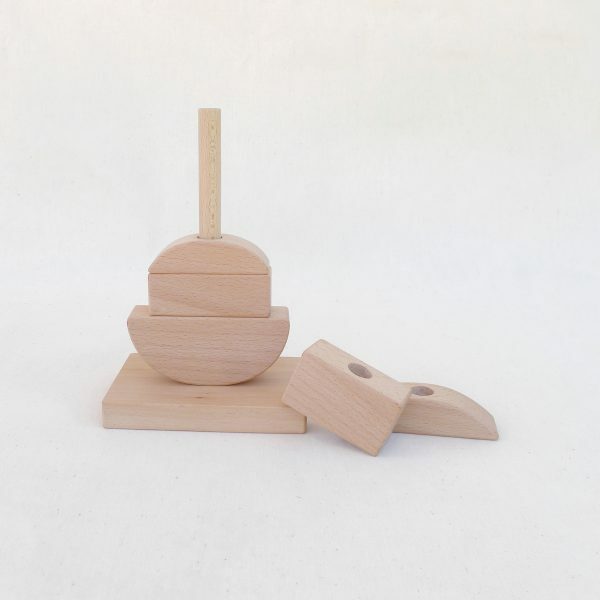 Fun for play and beautiful for display A fun toy to stimulate curious little minds and practice motor skills as the size of the pieces make it easy for little hands to play with. 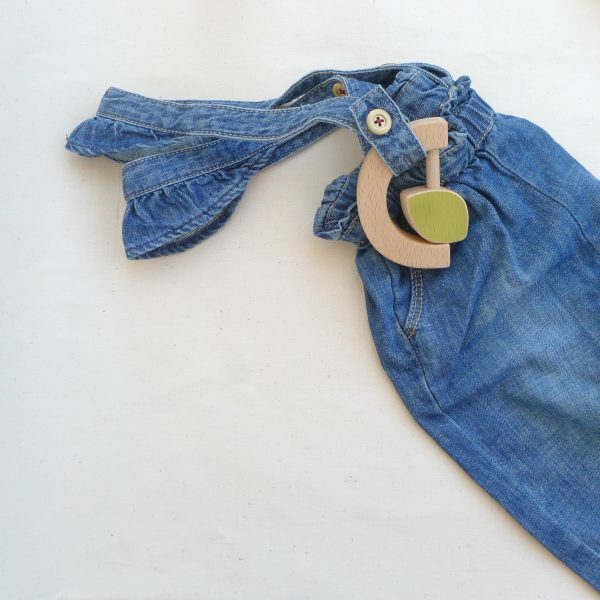 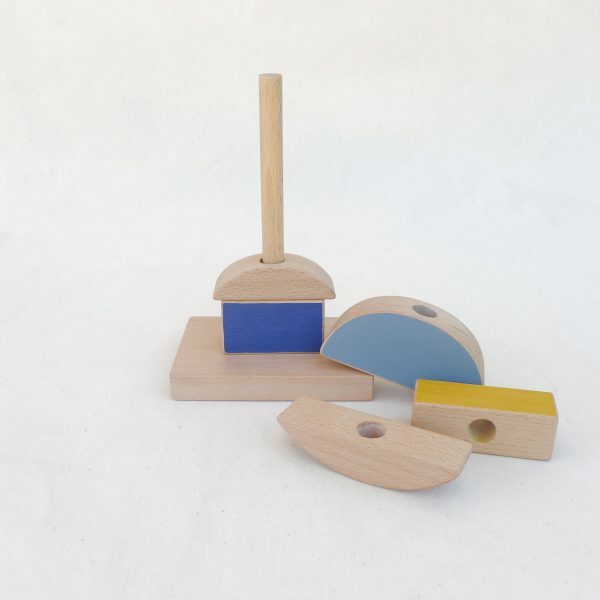 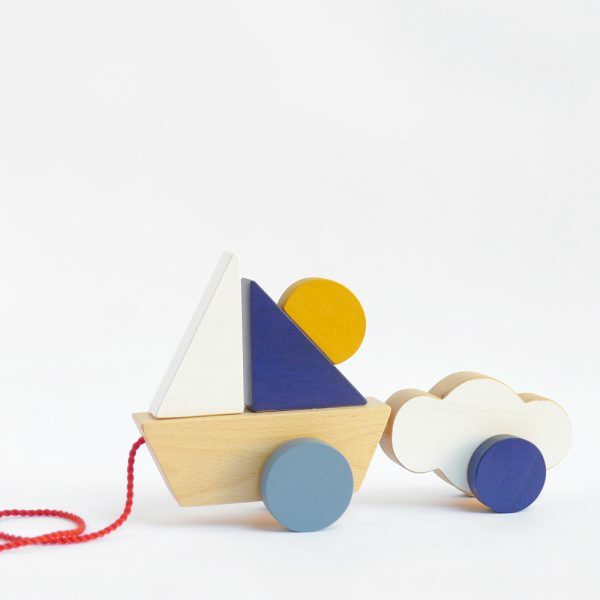 The toy combines vivid colors with satin smooth natural wood surfaces. 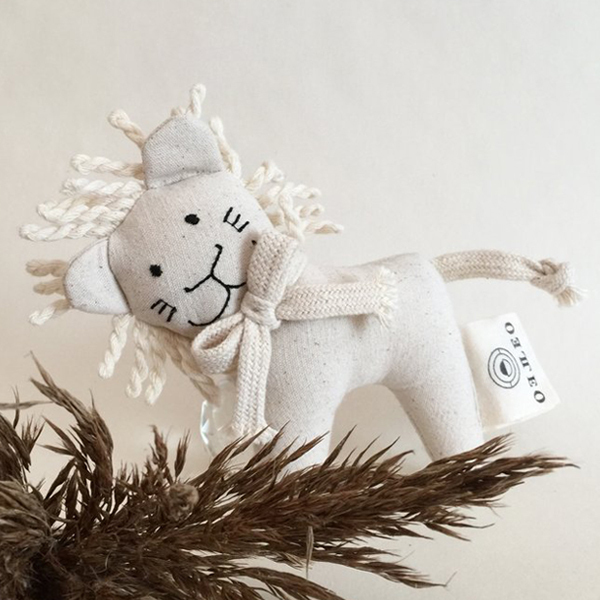 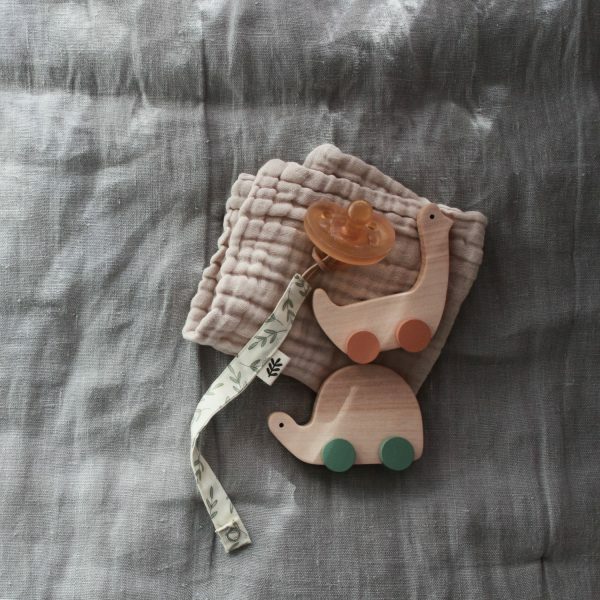 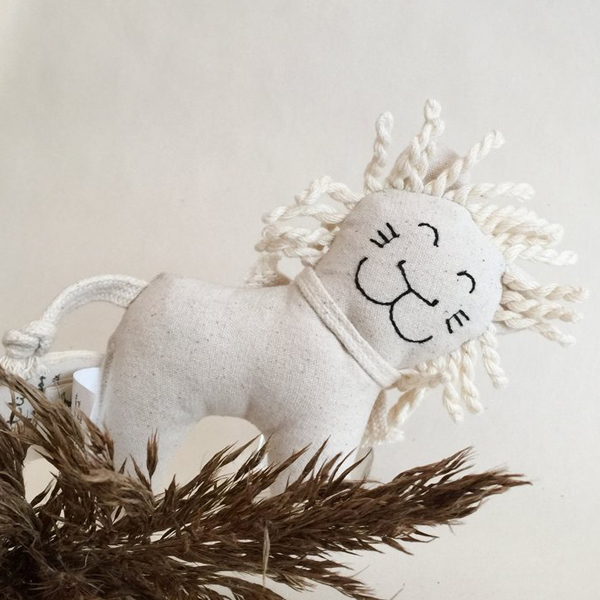 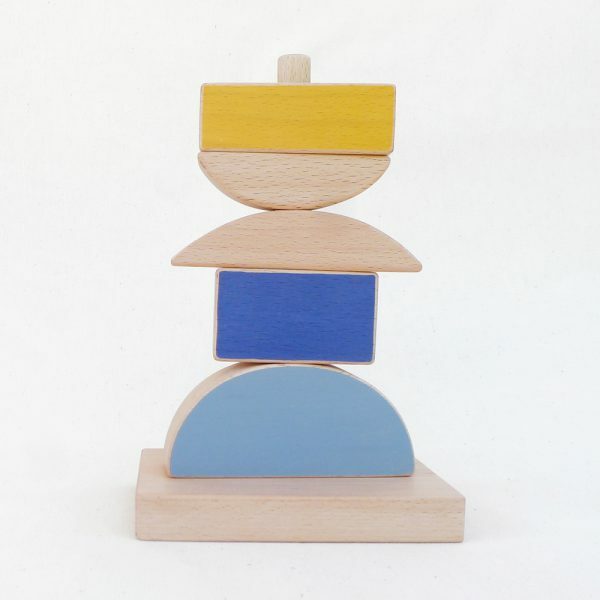 A heirloom toy that is beautiful to display as well. 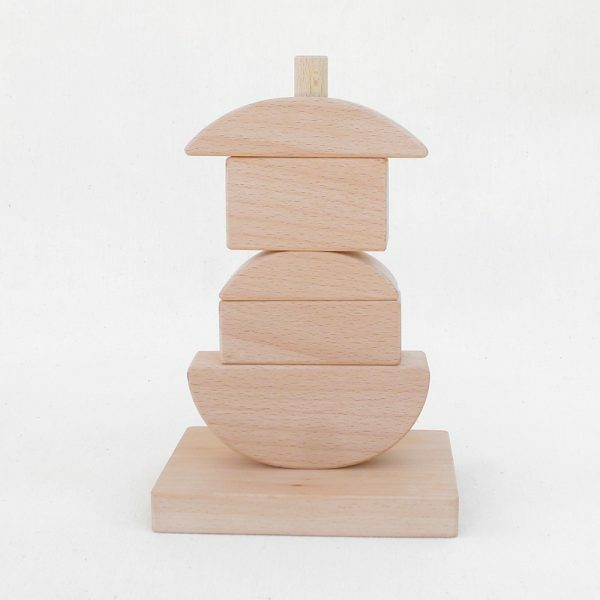 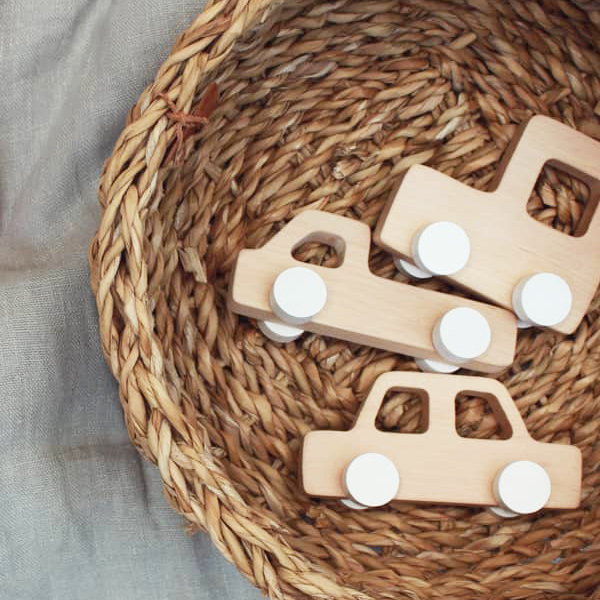 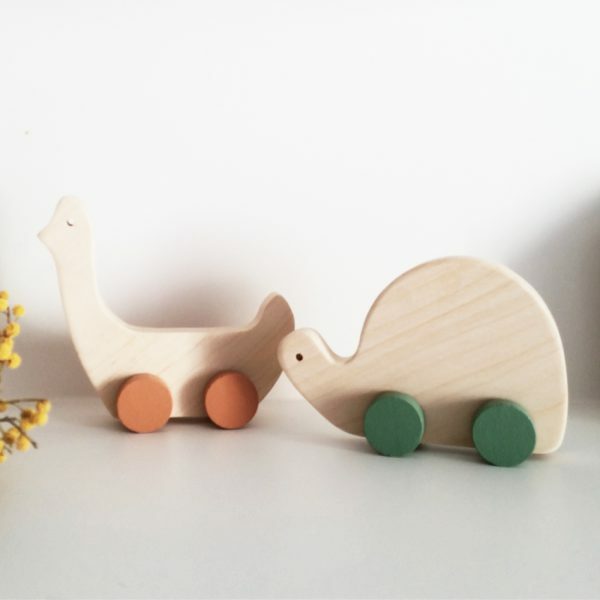 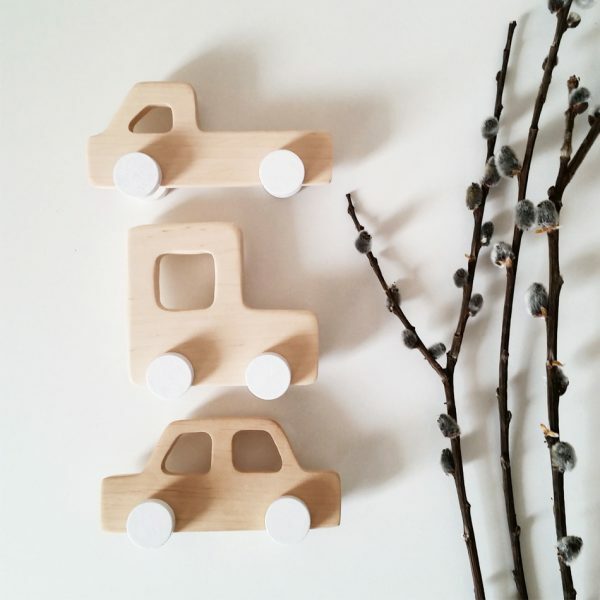 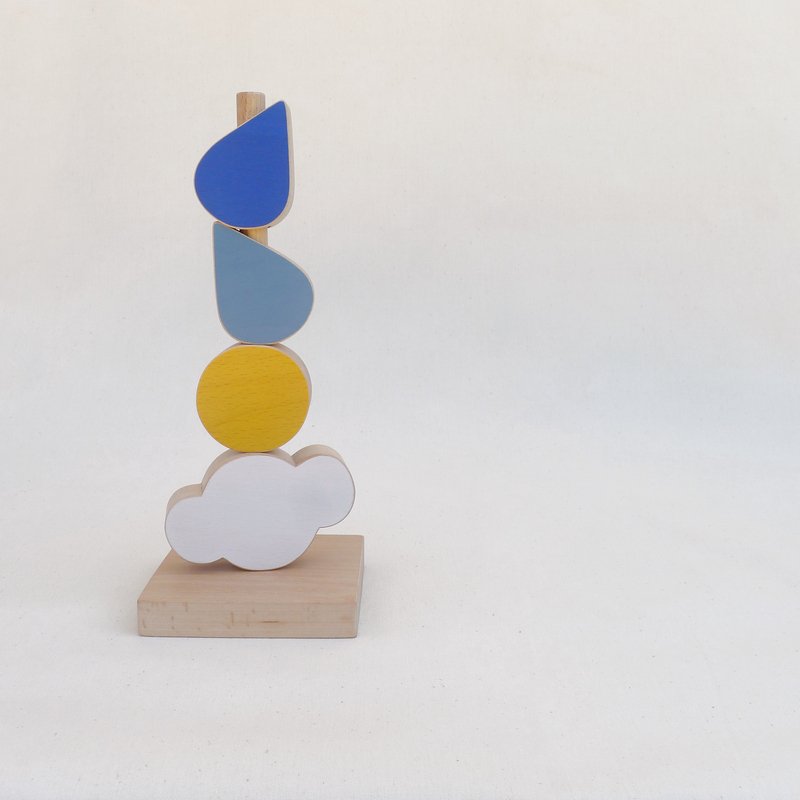 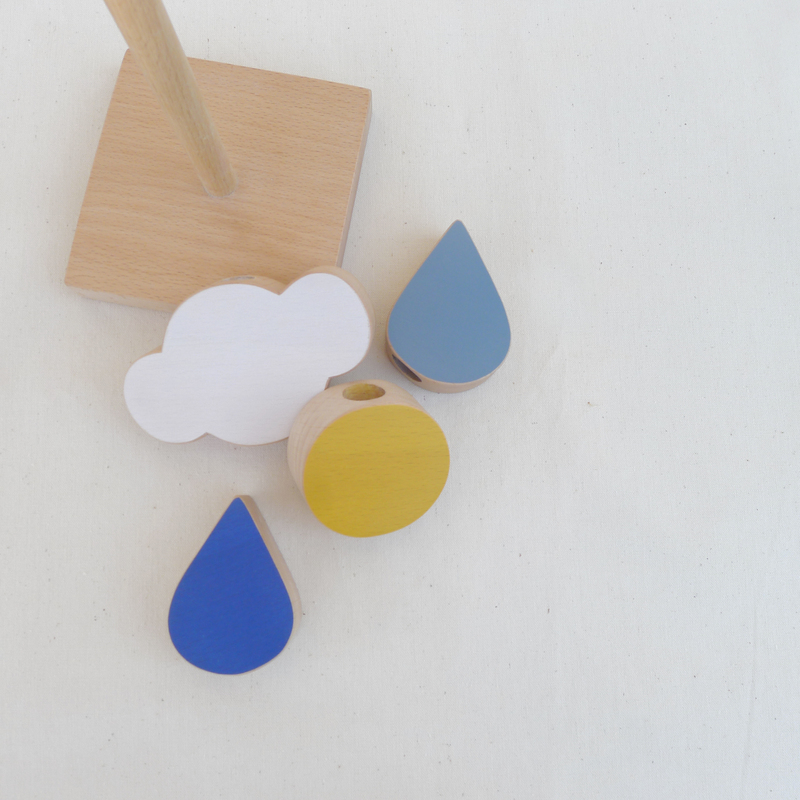 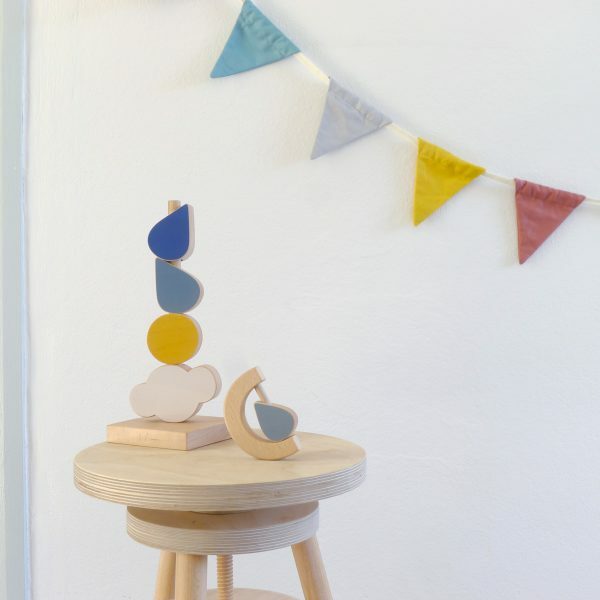 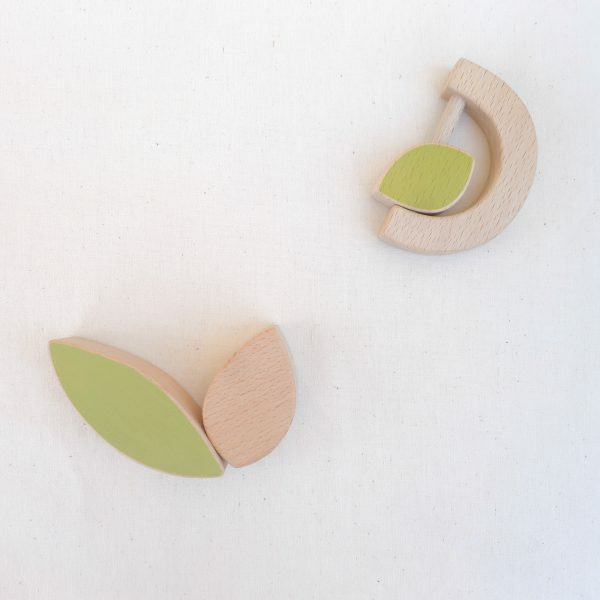 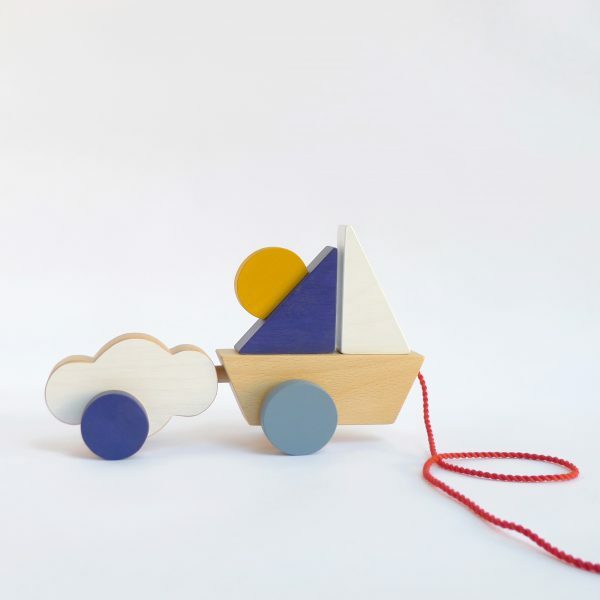 This Catch the Cloud Wooden Stacking Toy is hand-cut, hand-painted and sanded satin smooth to offer soft surfaces for the young explorers’ little hands. 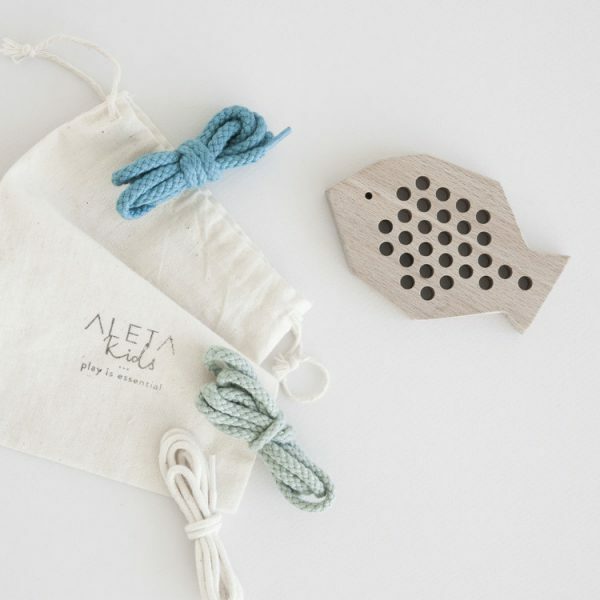 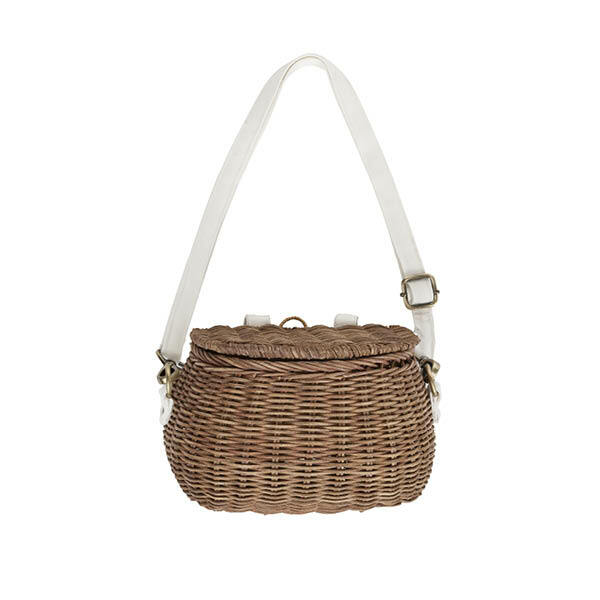 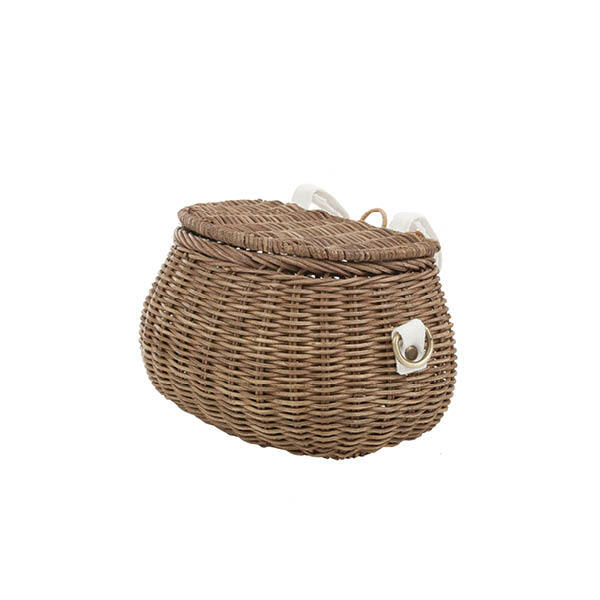 Wood has naturally anti-bacterial properties and thus is appropriate for soothing gums.